WECA April-June Course Catalog - It's Time to Enroll! It's that time again, WECAns! 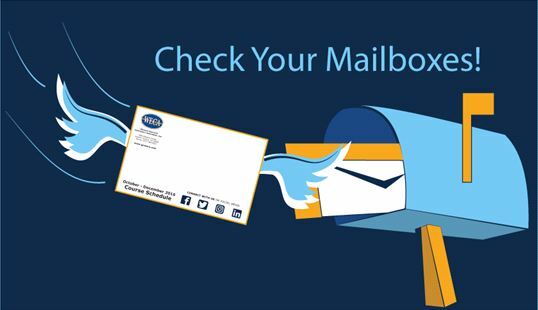 Time to watch your mailboxes for the April - June 2019 WECA course catalog. In it you'll find new courses for Electrician Trainees and Journeyman Continuing Education (including new solar and voice-data-video options), as well as all our classroom and online GetWired! and self-paced favorites. Keep your eyes peeled--there may even be a valuable coupon code in there as well. Can't wait? Okay, fine...you can download it here. Or access our full online course catalog for completely up-to-date course information, any time. April - June 2019 courses now available--get your seat before classes fill up!